Start a new life with us. A new skilled occupation list and new instrument (LIN 19/049) has been published, with eligible skilled occupations for this program included on the Medium and Long-term Strategic Skills List (MLTSSL) only. 216 skilled occupations are now eligible for this visa program. Overseas workers must be nominated in one of these skilled occupations unless separate arrangements are in place under a labour agreement or transitional arrangements* apply to the worker in relation to a Temporary Residence Transition (TRT) stream nomination. A new skilled occupation list and new instrument (LIN 19/047) has been published, with eligible skilled occupations for this program included on the Medium and Long-term Strategic Skills List (MLTSSL), as well as, the Regional Occupation List (ROL) for employers in regional areas. 673 skilled occupations continue to be eligible for this visa program. These occupations (and related assessing authorities where applicable) apply to both Direct Entry and TRT streams. Overseas workers must be nominated in one of these occupations unless transitional arrangements* apply to the worker in relation to a TRT stream nomination. A new skilled occupation list and new instrument (LIN 19/051) has been published, with eligible skilled occupations for this program included on the Medium and Long-term Strategic Skills List (MLTSSL) only. 212 skilled occupations are now eligible for this visa program. A new skilled occupation list and new instrument (LIN 19/051) has been published and visa applicants will continue being able to access the Short-term Skilled Occupations List (STSOL) and Medium and Long-term Strategic Skills List (MLTSSL) - in order to support Australia&apos;s regional economy. 427 skilled occupations are now eligible for this visa program. A new skilled occupation list and new instrument (LIN 19/050) has been published, with eligible skilled occupations for this program included on the Medium and Long-term Strategic Skills List (MLTSSL), as well as, the Regional Occupation List (ROL) for regional employers. 508 skilled occupations are now eligible for this visa program. Overseas workers must be nominated in one of these skilled occupations unless separate arrangements are in place under a labour agreement. A new skilled occupation list and new instrument (LIN 19/051) has been published and applicants for this visa program will continue being able to access the Medium and Long-term Strategic Skills List (MLTSSL). A new skilled occupation list and new instrument (LIN 19/051) has been published and skilled workers nominated by a state or territory government can apply with an occupation on the Short-term Skilled Occupations List (STSOL), Medium and Long-term Strategic Skills List (MLTSSL) and Regional Occupation List (ROL), which allows workers to live and work in regional or low-population growth metropolitan areas. 504 skilled occupations are now eligible for this visa program. The Visas for GPs initiative will manage growth in Australia&apos;s medical workforce by regulating the number of doctors entering Australia through the skilled migration program to work in the primary healthcare sector. Temporary Skill Shortage (subclass 482) visa. Under this initiative, the number of doctors entering the primary healthcare workforce through the skilled migration program will be reduced by about 200 doctors a year, over a period of four years. This initiative will direct doctors into areas that have lower access to services such as rural, remote and regional areas of Australia. Further information on the Visas for GPs initiative and the Department of Health process for obtaining a Health Workforce Certificate is available here: Department of Health&apos;s DoctorConnect website. Subscribe to receive updates from the department. For more information visit the Visas and Migration section of the department&apos;s website. All involve offering greater opportunity for nomination, with graduates of South Australia’s educational institutions particularly benefiting. - A grade point average of 5.2 and above but below 6.0 (being the existing standard) will allow opportunity for a provisional visa pathway. These changes will take effect immediately from 28 February 2019. Read more here. Please note that Immigration SA reserves the right to change its nomination requirements from time to time, whilst Commonwealth requirements may also change. These policies reflect current eligibility requirements only. For more information please visit the SA government&apos;s website. The Commonwealth Department of Home Affairs has announced changes this week (with immediate effect) to the combined list of eligible skilled occupations. As a result of these changes, Immigration SA has reviewed the State Nominated Occupation List (SNOL) and Supplementary Skilled List (SSL). Three occupations will be added to the SNOL (Statistician, Multimedia Specialist and Software and Application Programmers etc) and 32 occupations will be added to the SSL in the afternoon of Friday 15 March. The Commonwealth Government has removed five occupations from the STSOL and therefore, these occupations are no longer available for state nomination. There are no changes to the occupations available for the Regional Sponsored Migration Scheme (RSMS). Full details of the changes to Immigration SA’s occupation lists are available here. 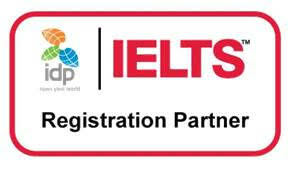 We are pleased to announce that we are now an Official Partner of IDP Malaysia for IELTS registration. Contact us now for more details! The lists of eligible skilled occupations for Australia’s skilled visa programs. Some changes to the Temporary work (Skilled) Subclass 457 visa program will take place progressively (effective 19th of April 2017) following with the abolishment and replacement with the introduction of a new Temporary Skill Shortage (TSS) visa in March 2018. We first engaged Worldlink after few session of consultation with them in mid 2009 and obtained our 1st stage approval under State/territory sponsored investor (subclass 165 visa) to Australia. We applied for State/territory sponsored Investor (subclass 893 visa) in July 2015 and was granted PR the following year. We must say Worldlink has been very professional throughout the many years we have used their services. Susan and Cecilia were always supportive and understanding and I was very comfortable disclosing to them the very large amount of personal information and documentation required for the application. They were able to build trust and rapport and i felt that was very important during the process. I also valued their kindness and compassion during stressful moments in the very long drawen process. I met Ms Susan Wong from Worldlink Business Consultants Sdn Bhd in 2015 at a seminar organised by the Victoria State Government in Singapore where she participated as a Stakeholder. Since then, I have been using her service as well as working with her to provide an overview of the real estate market in Australia, in particular in Perth and Melbourne. From working together with her and getting to know her clients, she has sophisticated and high net worth clients who talked highly about her service and professionalism. Over the course of our work, Susan gives very valuable advices to her clients and has their interest at heart. She is trustworthy, reliable and responsive. I have been recommended her to my clients who needed migration advices and will continue to do so. For more testimonies click here.